Nikawanabe (glue pot) is a pot used in the production of Japanese paintings for dissolving glue with water and as a container that stores this solution. Normally, the nikawanabe is placed in a container of hot water to heat the content indirectly but it can also be heated directly over an open flame or be stored in a refrigerator. 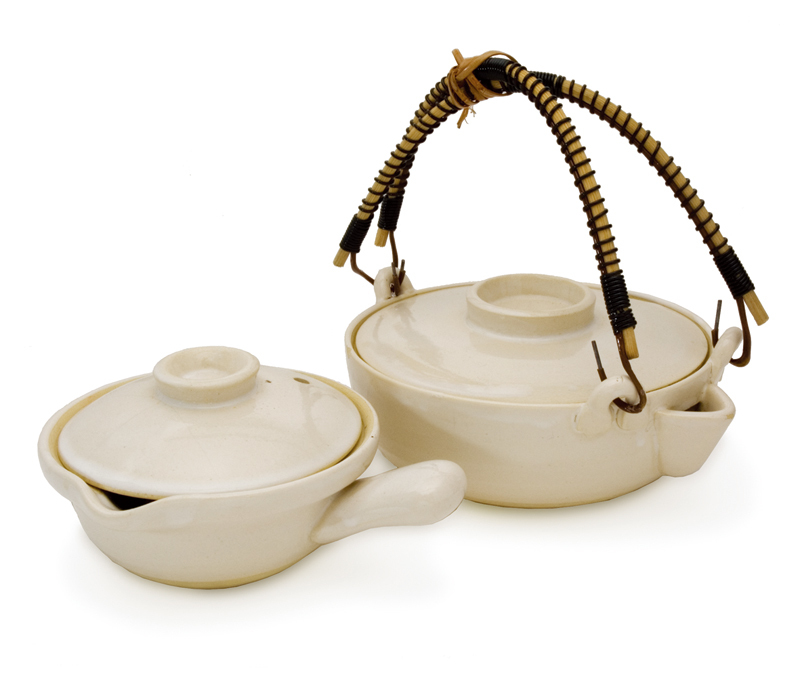 Therefore, a heat-resistant earthen pot or an unglazed ceramic vessel is most suitable for use as a nikawanabe. Various types of nikawanabe are available in different sizes, both large and small. Some take the form of an earthen pot, others come with a spout, a handle or a lid. An empty jar of jam can be used as an alternative but it should be used with care as it could break when brought to a high temperature in hot water. Nikawanabe can be purchased at art supply stores that handle Japanese art tools and supplies.